AlienRedQueen: First, let’s address the writing and publishing process in general. When you initially began writing your novel for NaNoWriMo, was historical fiction your intended genre? Elly Zupko: The premise for The War Master’s Daughter (TWMD) is something I’ve been kicking around since I was about 15 years old. When I was a teenager, I didn’t think in terms of genre, or marketing, or any of the labels you ultimately have to put on your work as a “grown-up writer.” All I knew was that the story took place in the past. But even now “historical fiction” seems like a slight misnomer. I realized that I had to choose a setting in order to achieve effective world building—by definition, a time and a place. Time was fairly easy. I did some research and found that the mid-16th century best fit the aesthetic I was seeking for elements like social structure, customs and mores, fashion, etc. I already had substantial real-world elements in the story, such as country names and specific world religions […] but I realized I didn’t want the characters to have that kind of contact with the outside world. I wanted Aurora to only have knowledge through books she’d read or things she was told. So I ended up removing most of the references to the outside world. ARQ: What piqued your interest about that particular genre? EZ: What interested me in writing about the past was its inherent limitations. When you write in the present […] elements of the story can quickly become stale or outdated. With historical fiction, there are things you know for sure: Maybe there are no guns. Maybe the only way to get around is by horseback. Maybe arranged marriages are the norm. Those kinds of limitations become interesting elements to your plot, and even if it takes you 15 years to get your book down on paper, those elements haven’t changed. The wonderful contradiction is that writing during a certain time period makes your story timeless. ARQ: How did you combat any feelings of writer’s block, or conversely, burnout, that you might have had while working on the novel? EZ: The best way I’ve found to avoid writer’s block is to work obsessively and compulsively […] limited periods of time. I value quantity over quality. Quality will come with time and practice. But you can’t fake quantity. The words will never write themselves. I set ridiculous goals for myself so that I’m so busy with writing, I don’t have time to second-guess what I’ve written. For NaNoWriMo, you have to get 50,000 words down in 30 days. You don’t have time to mess around. To finish TWMD, I rented a cabin in West Virginia. I spent a 5-day marathon doing little other than editing, drinking wine, and staring off into the woods. But I left the cabin with a finished book. Unfortunately, burnout is a huge problem for me because I work this way. I’m learning to work consistently. I imagined that I “hired” myself to be a writer for SMLX Books (my imprint). I have a work schedule that I adhere to. I might not write much—or anything—for those [couple] hours, but I am present in case motivation or inspiration strike. ARQ: Do you plan to self-publish your next novel as well? b) Is there anything about the process you’d do differently next time? c) what did you find most difficult about the process? EZ: I absolutely plan to continue independently publishing. I’m a very strong advocate of it. I’ve now experienced the thrill of finishing a book and putting it into people’s hands. I could never go through the 12–24-month cycle of traditional publishing. What I may do differently next time is that I likely won’t try to sell the book myself through my website. The profits are higher, but so is the initial outlay and the risks. I’m that stereotype of a self-pubbed author with a box of books in the back of my car. I also will likely not spend so much to license an image for the cover. But this was my first book, and I wanted it to be really special. The most difficult thing? Definitely facing the prejudices and biases against independent publishers. I can’t get my book reviewed in the major trades. I probably won’t have any luck getting it into libraries. I can’t even get most casual blogs to give me a second look. (I’m so glad I’ve found an exception with yours!) It’s incredibly difficult to get traction when so many avenues are closed to you. What’s most important is that you treat this like a business. You have to transform from the writer to the publisher. Have a business plan, a marketing plan, a budget, and a timeline. Otherwise, whether you spend a lot or a little, you’re just throwing money away. ARQ: Since you are now, technically, your own publishing company, have you given any consideration to “expanding” your publishing business? EZ: I have thought about it, but haven’t made any […] decisions. I am friends with many high quality writers, and I’d be lying if I said I didn’t daydream about putting some of their work out under the SMLX Books imprint. But the flip-side is that I would have to start making judgment calls about what I feel comfortable putting out under my imprint. Financial and legal issues start coming into play. I’d be taking on an incredible amount of creative, ethical, and legal responsibility. […] running a publishing house is not a hobby. It’s more than a full-time job. I won’t be able to have a publishing business until and unless I choose to quit my day job, and I’m not ready to do that yet. ARQ: Now let’s talk more specifically about your novel, The War Master’s Daughter. Aurora was the main character in your novel, but your supporting characters quickly gained a life of their own. Which character is your personal favorite? Were there any characters that sort of evolved in a different direction that you intended? EZ: My answer to both of those is definitely Storey. I’ll confess that early drafts of the book saw him as a cheesy love interest, and not much more. When I finally rounded him out fully, I was blown away at the depth I discovered within him. Creating his philosophical view of the world was one of the most interesting challenges I’ve faced as a writer. […] he was forced to adopt different personas for different situations to achieve his ultimate goal. ARQ: Let’s discuss Dymphna for a minute. The little girl seems like a revenant, which I guess is sort of the point. I’m assuming part of her strange nature is due to her essential isolation, but she also seems like a very symbolic character. Was that your intention? EZ: Wow! I confess I had to look up the term “revenant.” What an interesting comparison! Dymphna is really complex and […] she definitely took on a life of her own. This is a tough question for me, because Dymphna became a manifestation of lots of philosophical questions I have been working with. She’s not supernatural; however, her ghostliness and riddles are definitely a nod to 19th century gothic romances, which influenced a lot of the mood of the book. In a way, I suppose she represents what I see as the irony of parenthood: no matter how much a parent teaches a child, the most important lessons that child learns will come from within herself. Conversely, the parent who exercises the most control over his/her child has the least effect on who the child becomes. Dymphna is the product of having a “parent” who is at once over-involved and absent, and the reader is left to decide the morality of that parent’s methods. So, was the dichotomy of matriarchal versus patriarchal societies meant to be symbolic of something larger, or were you simple going for two radically different ways of ruling to fit your plot? EZ: I definitely wanted to explore gender issues explicitly in this book. However, you’re right in that the dichotomy is symbolic of something larger. It’s about how blindly following doctrine (religion, patriotism, etc) leads to complacency and xenophobia. It’s about how you can’t really understand another […] person until you consciously choose to take the outsider’s perspective. And it’s about how a system or belief can be categorically diametrical to your own, but not be evil or wrong or broken. EZ: Oh you are letting me dream! I love this question, and I can’t say I haven’t thought about it. But I’m going to put giant SPOILER ALERT because I don’t want to ruin imagining of the characters for anyone who hasn’t read the book. EZ: As for direction, I’d love someone who could get the mood right: claustrophobic epic with undertones of gothic romance. Catherine Hardwicke or David Yates come to mind. But if I’m going to dream, I want to dream big, and I’m going David Fincher or bust! 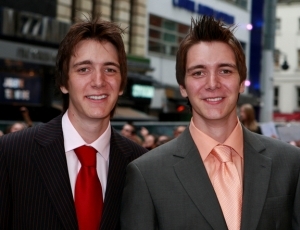 I would love to know who YOU would cast! ARQ: Ooh. I get to play too? 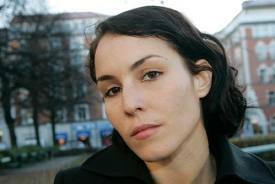 Okay, assuming budget is a non-issue… For Aurora, I’d LOVE to see Noomi Rapace. She’s my new celebrity girl crush and I think she has a natural beauty, and I’m assuming Aurora probably did not wear much make-up. I think Daveigh Chase would also be a good choice. This is kind of hard. For all my movie-watching, when put on the spot, my mind sorta goes blank. But I have a couple of ideas. 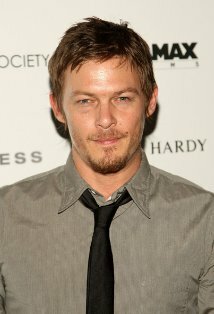 Can have Norman Reedus for Storey? He has a rugged look. 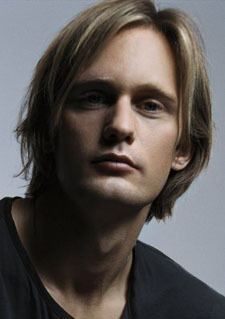 For Cashell, I envision the classic bone structure and fair coloring of either Luke Goss or Alexander Skarsgård. Both are insanely hot. 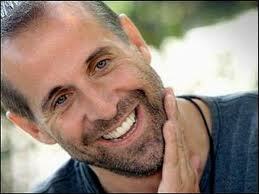 I’d love to see Peter Stormare as Cort. (you forgot Cort!) As to child actors, I couldn’t even begin to guess, because, like Dakota Fanning, most of the child actors with which am familiar and whom I like are no longer children. This entry was posted in JustBlog Entries and tagged Alexander Skarsgard, Arts, books, Dakota Fanning, Daveigh Chase, Historical fiction, independe, James Phelps, Jennifer Lawrence, Jonathan Rhys Meyers, Luke Goss, Michael Fassbender, Noomi Rapace, Oliver Phelps, Peter Stormare, Publishing, Tania Raymonde, War Master, Writer, writing. Bookmark the permalink.